We have thousands upon thousands of artworks in our Zanui catalogue. 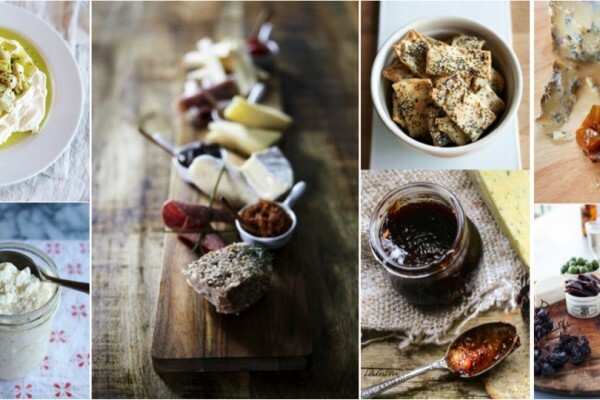 When there are so many to choose from, it can be hard (read: impossible) to pick an absolute favourite. So, we’ve instead gone through and chosen some of our favourite types of wall art. Shop the Flow 8 Canvas Print and the Flow 9 Canvas Print from Artist Lane online at Zanui. Abstract artworks are some of the most versatile and most popular of our wall art styles. 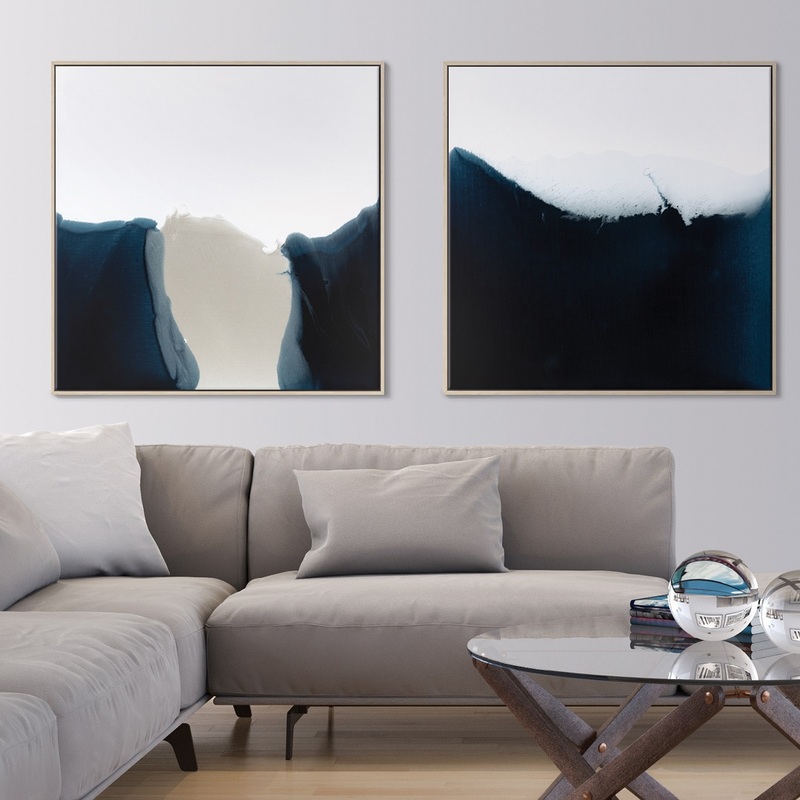 There’s really no limit to these creative, expressive, and evocative designs, so if you’re unsure what style of wall art you’re looking for, abstract is a good place to start. These artworks use blends of colour, different brushstrokes and textural marks, unusual shapes and fluid forms, and other intriguing visual techniques to create something that doesn’t specifically represent anything. Rather, you see what you want to see in abstract art. The designs are open to interpretation and so can work in a range of interior styles, from the most glamorous to the most relaxed. Shop the Little Fur Framed Art Print from Artist Lane, the Mint Condition Framed Canvas Painting from CAFE Lighting & Living, and the Maui Framed Canvas Print from Urban Road online at Zanui. 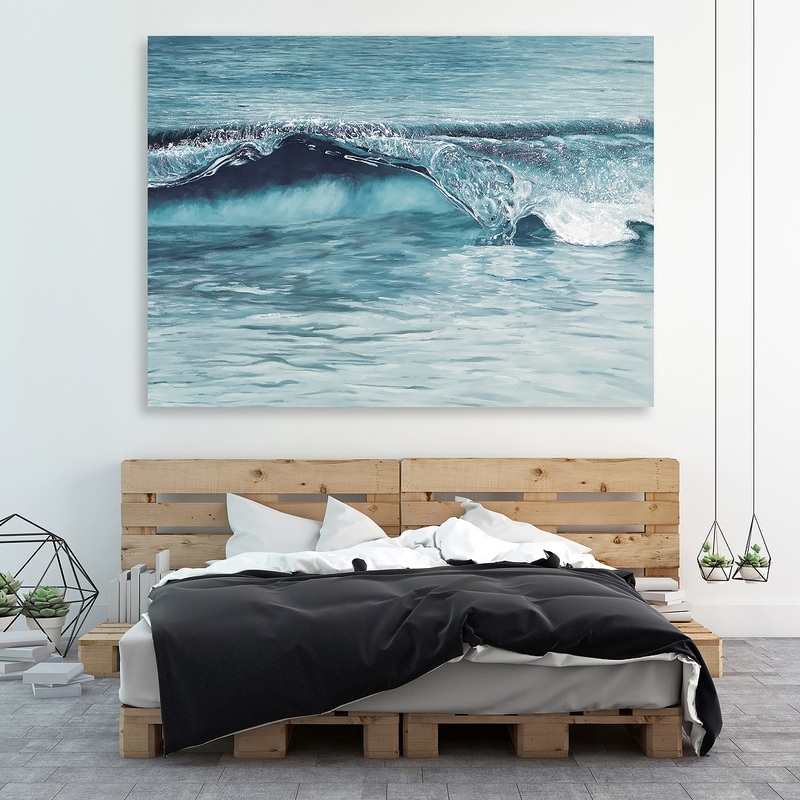 Shop the Ocean Wave Canvas Art from The Print Emporium online at Zanui. Living in Australia means we are surrounded by some of the most gorgeous coastlines in the whole world. We love that carefree beachy lifestyle, so, naturally, many of us are drawn to a coastal interior style. That, of course, includes artworks. It’s pretty easy to spot a coastal artwork. Just look for things like a crystal blue ocean, foaming waves, beachgoers on the sand, coral, boats, surfboards… Oh, and coastlines. Many coastal artworks feature muted, natural hues mixed with pops of blue. 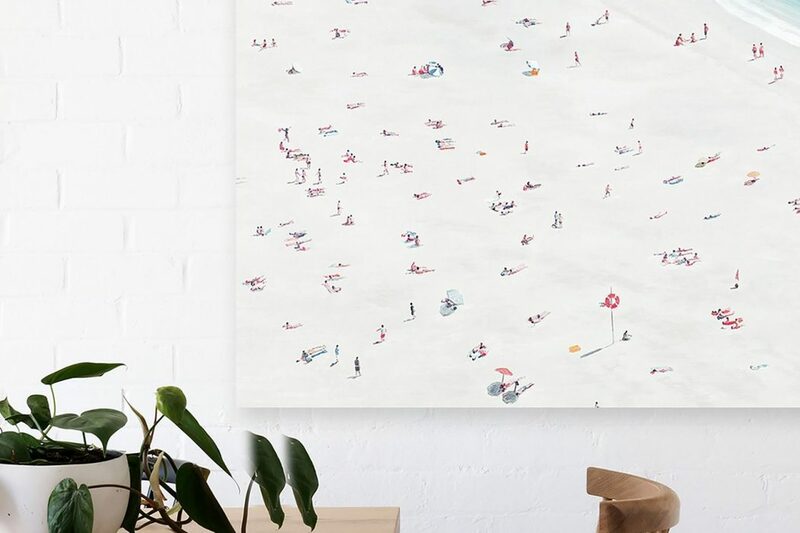 Shop the Weekend to Remember Canvas Print from Mayfair Art House online at Zanui. The colours used in coastal artworks are often quite subdued. Think sand and white, mixed with a range of light and dark blue hues. These colours help to create the calm, tranquil, relaxed feel that a coastal interior should have. That doesn’t mean that pops of red, yellow, and other vivid hues are totally missing from coastal artworks. These fun pops of colour are also a common feature of coastal artworks, usually found in the form of beach umbrellas or bathing suits! 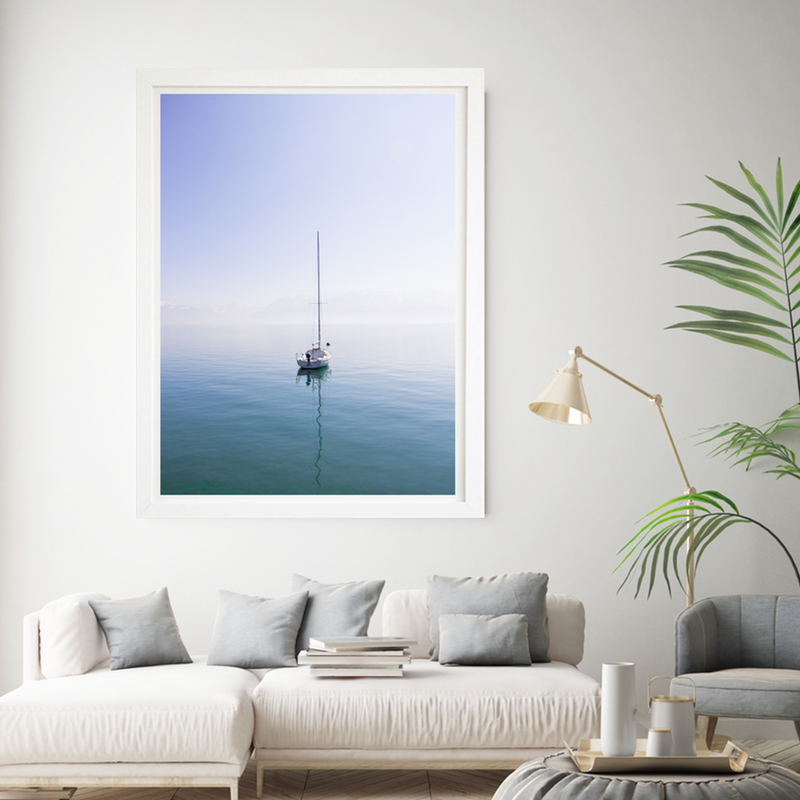 Shop the European Cove Framed Art Print from The Print Emporium, the Isle Le Lemonade Canvas Print from Mayfair Art House, and the Calm Ocean Framed Print from 41 Orchard online at Zanui. 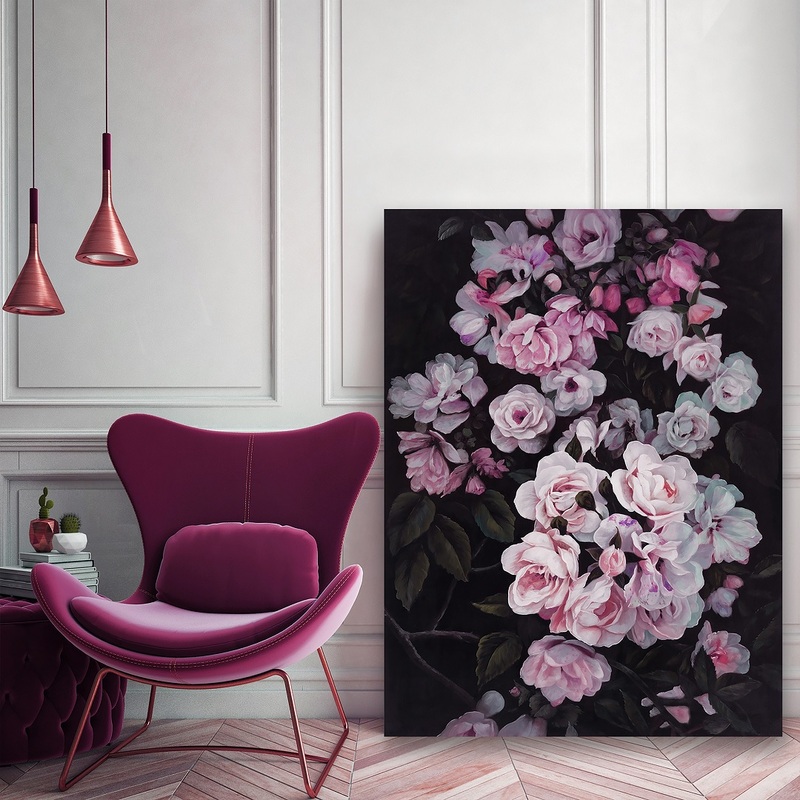 Shop the Midnight Garden Canvas Print, Pink from The Print Emporium online at Zanui. Shop the Blooms Framed Art Print, Pink from The Print Emporium online at Zanui. 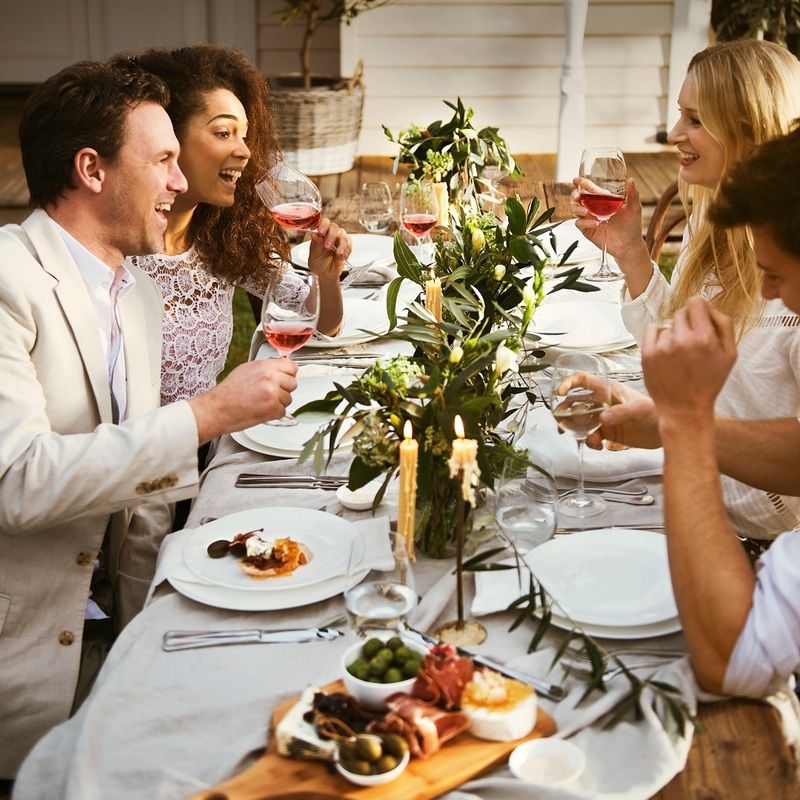 Many feature demure pastel tones, such as blush pink, lilac, mauve, and white. Artworks that use these colours will help to soften your space and create a sense of calm. Other floral artworks go bolder with rich, warm red or orange hues, which can really make your walls pop. 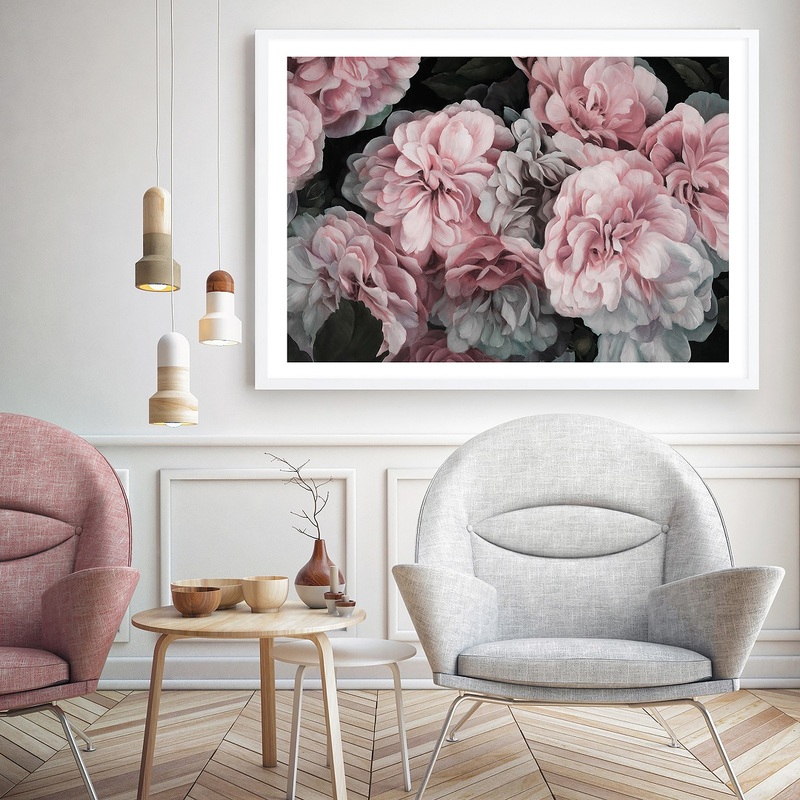 Shop the Flourish Canvas Print from Urban Road, the Roses Framed Art Print, Dusty Pink from The Print Emporium, and the Lady Jane Canvas Print from The Print Emporium online at Zanui. Shop the The Man in the Trans-Siberian Window Poster Print from The Poster Club online at Zanui. Photographs capture incredible moments in time, breathtaking scenery, and fine details we’d ordinarily glance over. No matter the subject matter of a photographic artwork, you can rest assured it will be mesmerising. Shop the Bliss Framed Print from Beach Lane online now at Zanui. 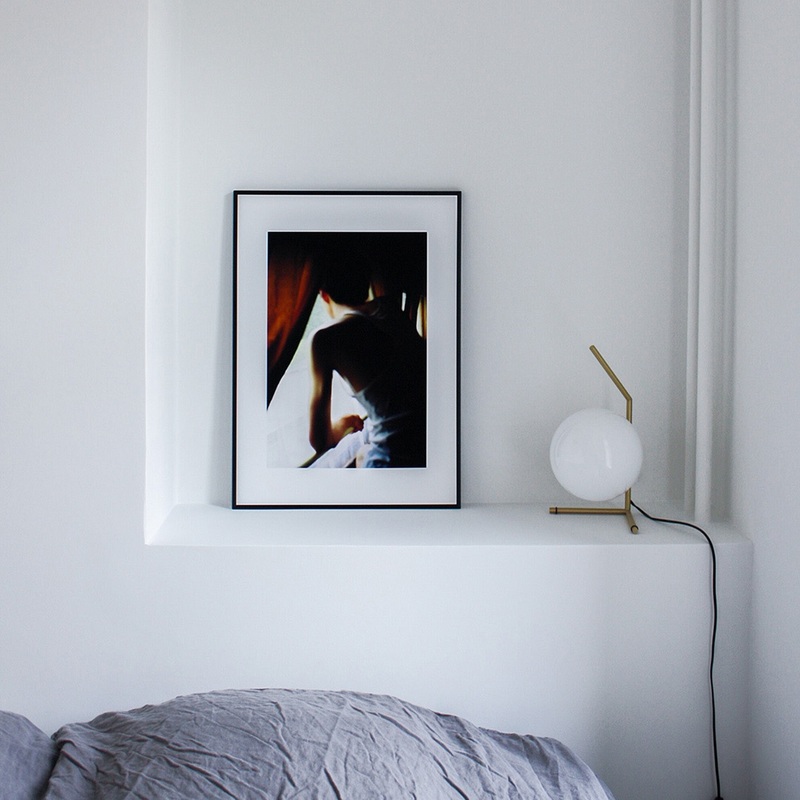 There’s a photographic print to suit just about every taste and interior style. Whether you like cars or animals or portraits of people, you’ll surely find something for you. Shop the Julie Canvas Print with Floating Frame from United Interiors, the Corella Canvas Print from A La Mode Studio, and the Headdress Framed Canvas Print from A La Mode Studios online at Zanui. 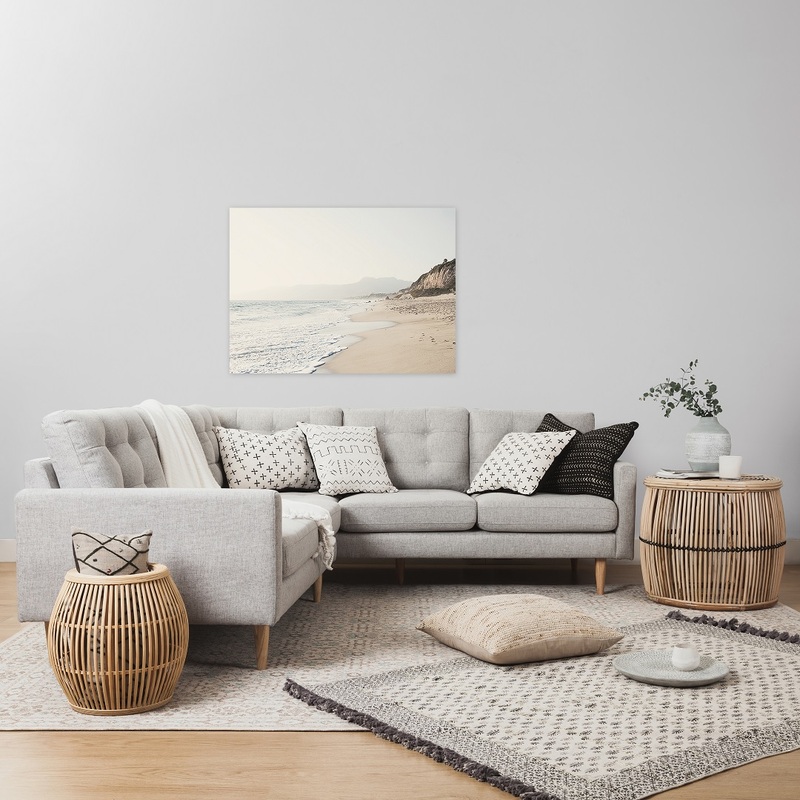 For more great wall art reading, why not check out our blogs on how to choose and hang wall art, and on how you can create a gallery look with your wall art.